As good as this sounds, we know coming up with that money is not always easy, especially near the contribution deadline. That is why we offer competitively priced RRSP loans. It’s never too soon or too late to start planning and saving for your retirement! The RRSP Variable Savings Account enables you to make contributions when you choose. 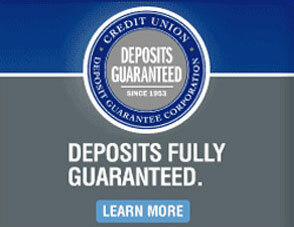 Money can be automatically deposited into your RRSP on a weekly, semi-monthly or monthly basis. You’ll never have to rush to meet the RRSP contribution deadline again! Once a minimum balance of $500 is achieved, your funds can be transferred to a higher interest-bearing fixed deposit. Interest is calculated on the daily minimum balance and paid twice each year. By contributing on a monthly basis, you earn more interest than by waiting to make a lump sum deposit at the end of the year. Enable you to transfer locked-in pension plans into RRSPs. LIRAs offer the same features as all of our registered products. Provide you with a variety of retirement income options that are flexible enough to meet your needs. RRIFs also continue to tax shelter your hard-earned savings. Can help you to combat the rising costs of post-secondary education. In today’s economy, a post-secondary education greatly improves your career or job opportunities and quality of lifestyle. Saving now can help you secure your child’s or grandchild’s future. Are offered to help you save for your future. Contributions are not taxable just as income generated on the account is non-taxable. There are a number of products available. Give us a call for more details.